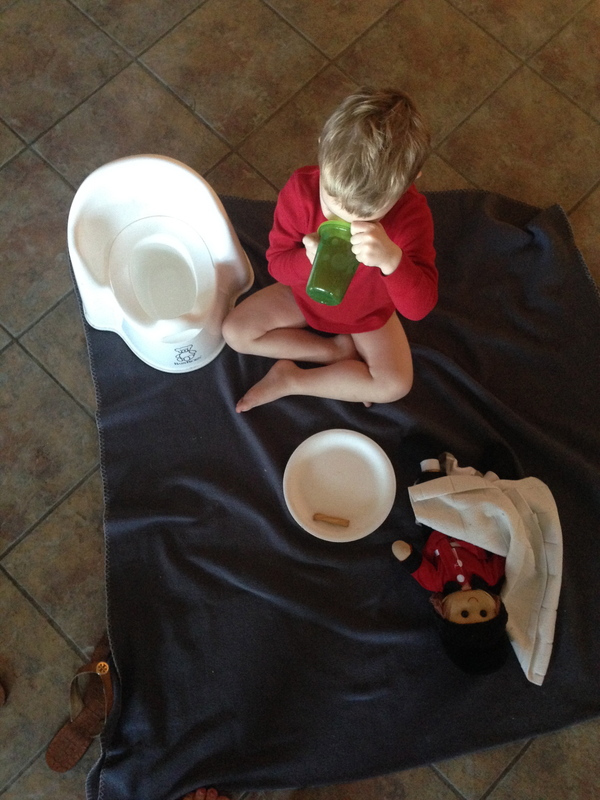 Potty training was not on my radar. At all. Everytime I asked Kenton if he was interested in going potty, he said no. He told me he liked his diapers. He insisted that underwear was not an exciting new fashion venture. All signs pointed to… wait. And I planned to do just that until after his third birthday. 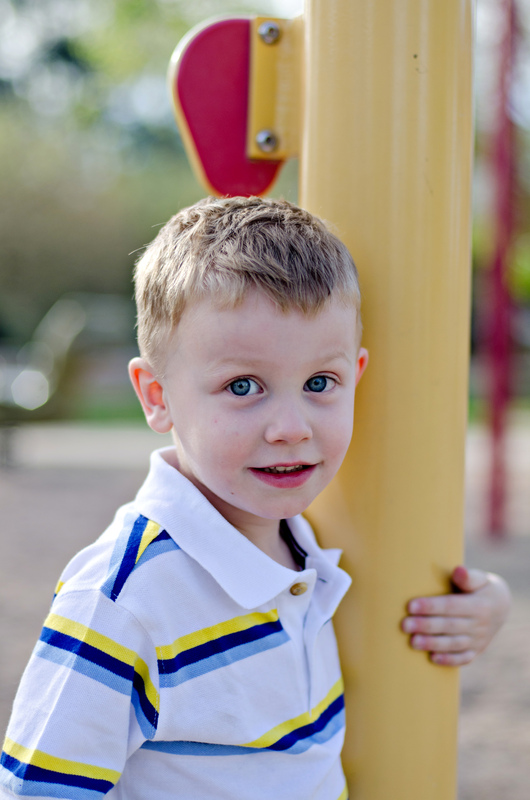 A friend recommended I research “one-day potty training.” She had done that method with all three of her kids (two boys, one girl) and they were all potty trained by 2.5years – much younger than Kenton. So, I ordered Toilet Training in Less Than a Day on Amazon and got it approximately 48 hours before I wanted to try it – so I sped read it. I admit I did not read the whole thing cover to cover. It was written in the ‘70’s and contains some ideas/language that are no longer socially acceptable (DISCLAIMER, if you order the book – I’m not condoning everything it contains). HOWEVER, the dang approach was perfect for Kenton. 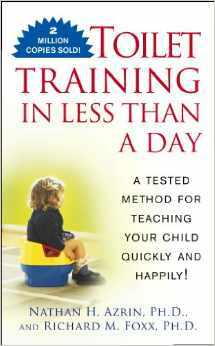 Basically, you set aside a full day for one-on-one time at home with the trainee. I picked President’s Day because I didn’t have to teach and my mom was already planning on having the kids (Monday is one of her babysitting days). So, I just sent Camille along with her and kept Kenton at home with me. 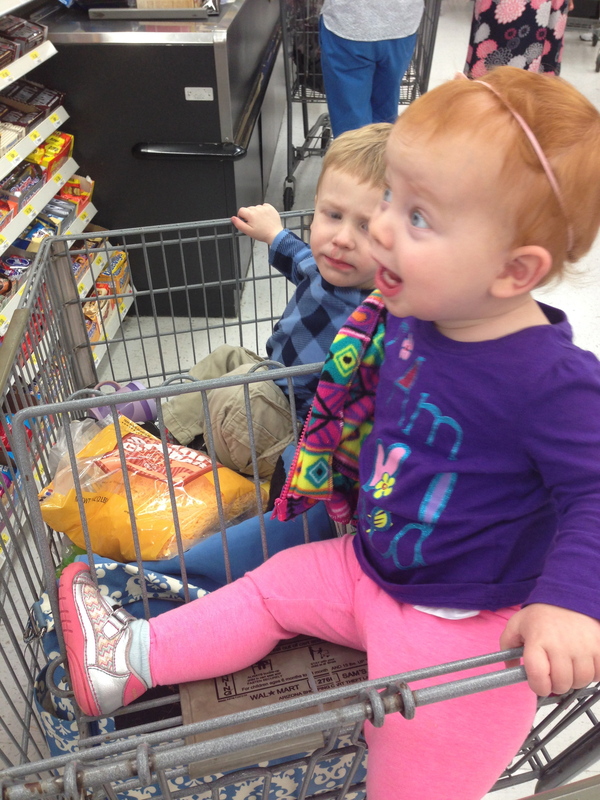 Camille was excited too – but she just loves shopping and eating. So, it’s a win-win. I set those items out on the counter so he could see them, but wasn’t allowed to have them until the big day. I changed him out of his PJ’s into underwear and a short t-shirt. 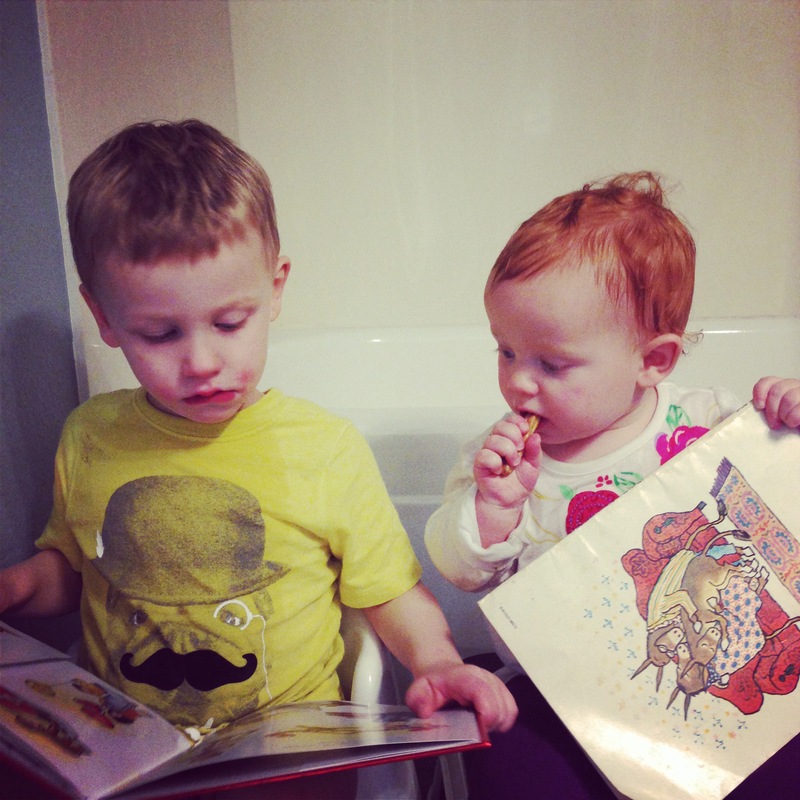 The book outlined the need for easy access to clothing removal for the potty-trip-process. I even cut the elastic on his underwear so it was easier for him to pull on/off himself. 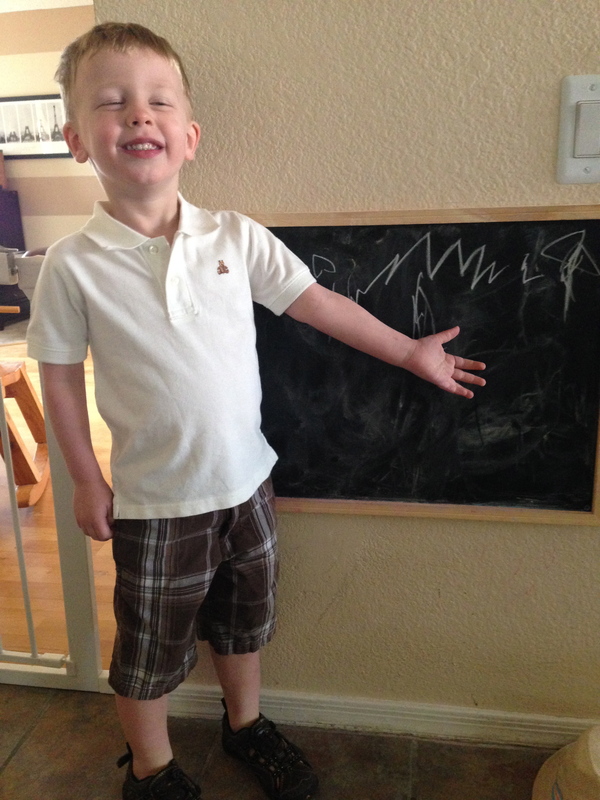 As the day progressed and he became better at that part, I added loose-fitting pants. His shirt needed to be short enough so it did not get in the way when he tried to pull his pants down. After getting him dressed, I filled him up with salty snacks (pretzels) and all the juice or water he would drink. Note: This day was a major diversion from his normal diet, which I believe contributed to his enthusiasm and attention to what I was teaching him. I put my phone away for the day. The TV/stereo were never on. It was an INTENSE several hours of focused one on one time. I was exhausted that evening. EXHAUSTED. We set up in the kitchen. 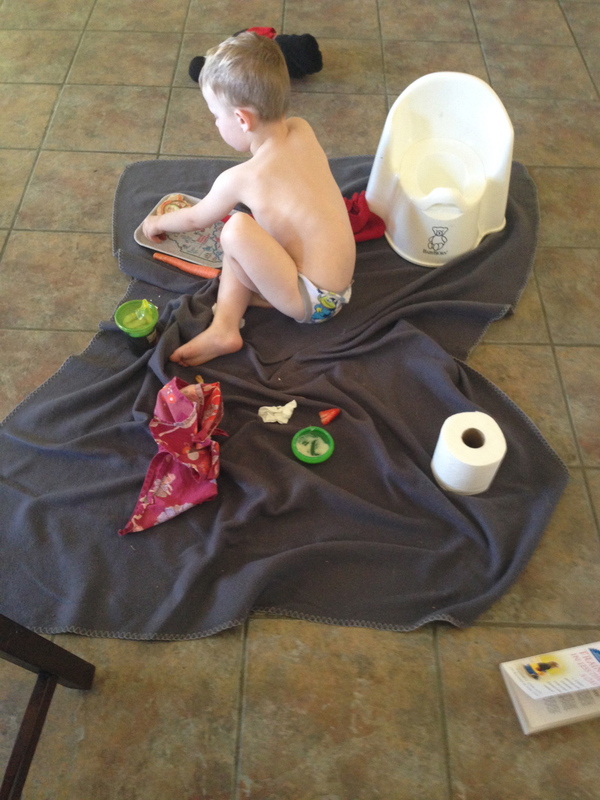 I spread out a blanket and set out his little training potty, toilet paper, and a doll. 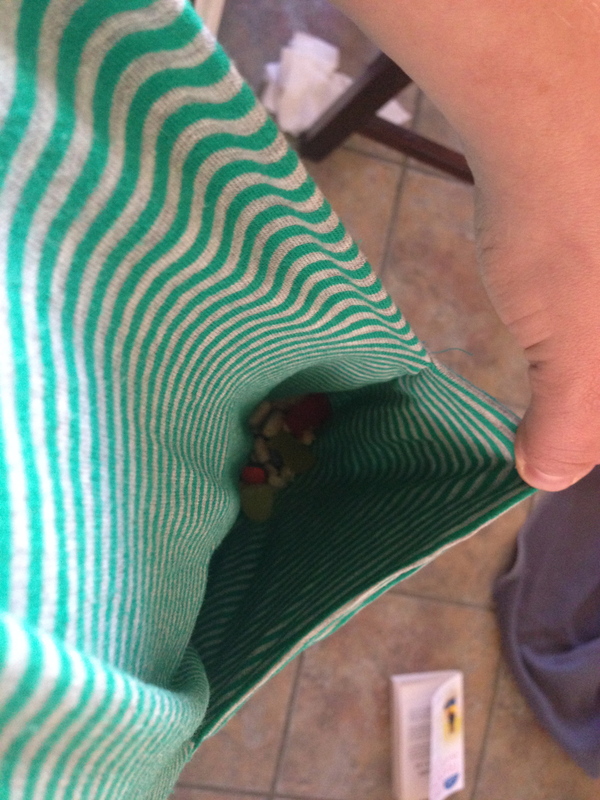 I wore a shirt with deep pockets so I always had the savory and sweet treats accessible. The book recommends getting a doll that wets itself for the first part of the process. We did not do that. I just used a soldier doll that he liked. We pretended to give it water, then a minute later, I would make a big deal about the doll needing to go potty. Together, we would “teach” the doll what to do – walk to the potty, pull pants down, sit on potty, pee (I poured water in the pot when Kenton wasn’t looking), give the doll lots of praise and a sweet treat (which Kenton ate after pretending to give to the doll), wipe, pull up pants, pick up pot from the potty and dump into the toilet (Kenton did this himself), flush, wash hands – then Kenton would get a sweet treat reward for completing all the steps for the doll. We did that over and over and over and over for two to three hours. 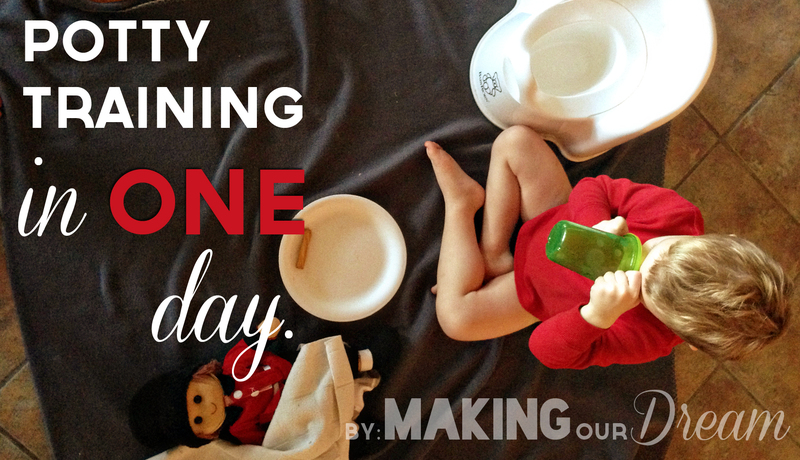 During that time, Kenton went potty a few times – but not before wetting his pants a little. He didn’t recognize that sensation and teaching him that was a big part of the process. We went through about eight pairs of underwear that day. Everytime he did go potty, he was rewarded with tons of praise – big cheers, claps, hugs, kisses – and, of course, sweet treats. When he was done, he had to pull up his pants himself, pick up the pot from the training potty, walk it to the toilet, pour it in, flush, rinse the pot, wash his hands, put the pot back – then he got another treat. In all honesty, there were two parts of this process that I was certain would not be successful – him pulling up/down his own pants and the emptying of the pot. I was happily surprised that he learned to do both of those new skills with little intervention and no spillage (pot portion)! When he had the inevitable accident, we followed the book’s instructions, which are to have them sit and “finish” if they can. Take their dirty pants to the hamper themselves, put new pants on. Then, practice the “run” to the potty from ten (10!!!) locations around the area. Yes, it takes time – honestly, the whole process is draining (pun intended), but rewarding. No, Kenton was not 100% potty trained in one day. But, and here’s the big tip, we have not put a diaper on him since. Little sis joining in for a long sit on the potty. Apparently, that is key – once you put a diaper on them, they think the hard work is over and they can just sit in their own excrement again. Eww. Nope! He really did have minimal accidents the first three days, fewer the first couple weeks and only rarely since then. After about two weeks, we ditched the trainer-potty and he goes on the big potty. We did install special seats like these that make life easier. 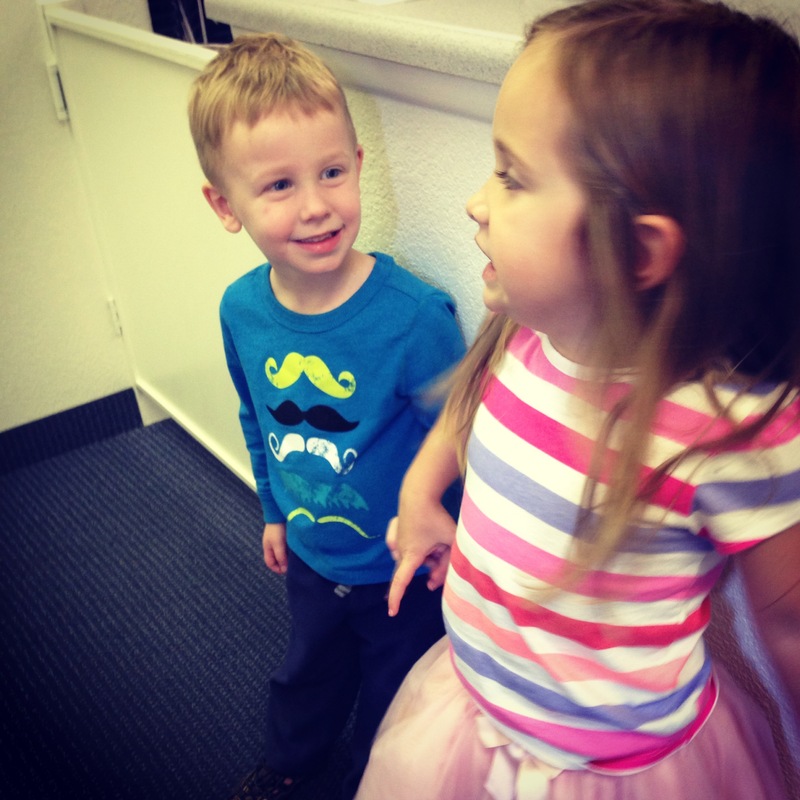 One of his proudest moments so far… telling his crush, Cora, that he’s diaper-free. We still put a pull-up on him for his nap and at night. He is a very heavy sleeper and I’m anticipating another learning curve for that milestone. So, we’ll get to that later. For now, I’m so happy to not buy diapers for him anymore. She’s quite curious about this whole deal and even grabs a diaper and brings it to me after she’s peed once in hers. I’ll be doing this same method with her at the earliest age the book recommends – 20 months (just 2.5 months of diaper-buying left!). I am extremely proud of Kenton. I entered this process apprehensive. I did not think he was ready. I questioned his ability to take on this new skill and he prooved me wrong. Despite verbally telling me he wasn’t ready or interested, he actually was! I’m so glad my friend encouraged me to just do this and I hope you feel encouraged to do the same. I could use an additional writer! I was wondering how soon we could start this process! 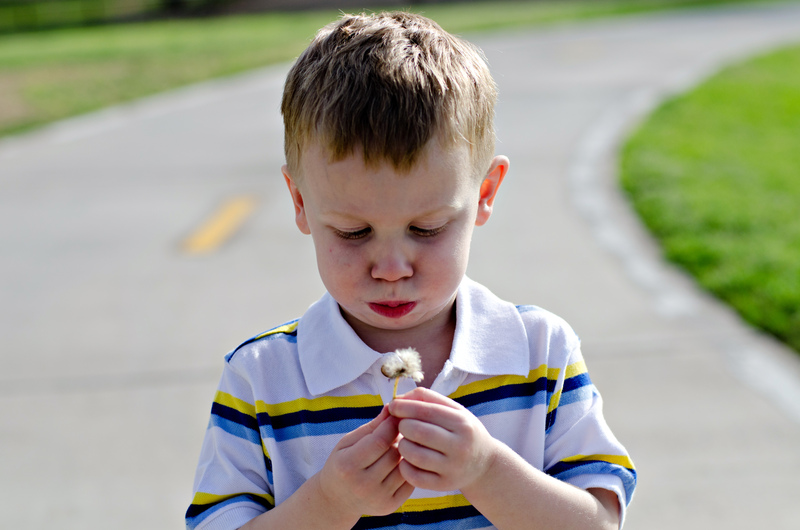 Is it 20 months for boys, too, or are boys typically late bloomers? 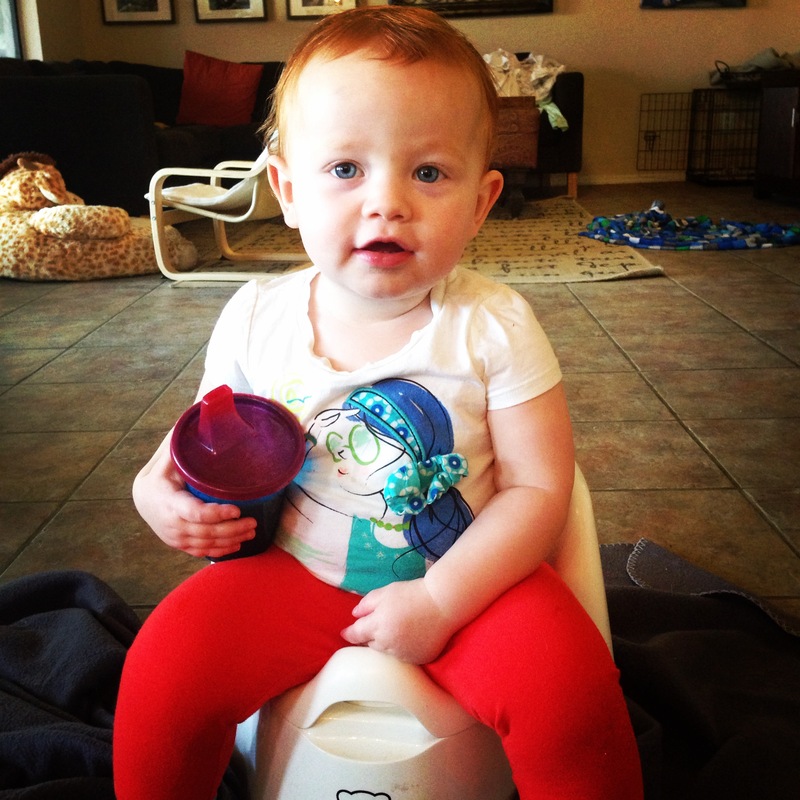 I’m with you – the sooner we can get rid of diapers (until the next one), the better! Good job, mama! I can only imagine how exhausting that day was. Eek! Okay. I’m not ready to think about this. But, I’m pinning it. Because it’s awesome. You are awesome. such great tips. It really is that easy… I potty trained our daughter over a period of a couple weeks but that was when she was eight months old. By nine months old, she was fully potty trained.